8 April 2019. One year ago today, long-time board member Harry Hellmuth died peacefully at La Posada Hospice. Harry gave us his time and wise advice, as well as a fine donation for scholarships. Harry is missed by people inside and outside the Academy. 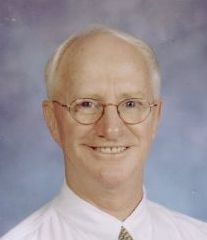 He was the favorite high school teacher of board member David Gutschick. He donated all his estate proceeds to a scholarship for NMSU ROTC. His obituary tells of a long life of diverse careers.